COZYROC is committed to building a strong partner ecosystem to provide more value for our partners and customers. The COZYROC's Partner Alliance Program is a network of strategic partnerships that creates new avenues for delivering and implementing Data Integration Solutions using our suite of 200+ Components. You will find below, a list of partners that have implemented one or more solutions using our COZYROC’s SSIS+ Suite. Arcade provides consulting services for delivering SharePoint, Microsoft Dynamics AX and PowerBI solutions. Arcade’s consultants have helped clients in various industries reduce the risk of implementation, increase the return on investment, and maximize efficiency. Arcade’s consultants have over 20 years of combined experience and deep understanding of SharePoint, Microsoft Dynamics AX, and PowerBI customization for On-Premises and Online. Arcade is registered consulting and reselling partner of the COZYROC SSIS+ Suite. In addition to providing a full suite of outsourced IT services, beiNVENTiV are experts in helping clients successfully migrate from their Dynamics CRM (on-premises) to Microsoft Dynamics Online. beiNVENTiV is registered consulting and reselling partner of the COZYROC SSIS+ Suite. Berkflow provides a broad range of SharePoint consulting services that can optimize your SharePoint deployment, implement new features and provide on-going support to ensure that your SharePoint infrastructure is healthy, compliant, and integrated into your critical business processes and systems. Berkflow’s consultants have expert knowledge in SQL Server administration, optimization, integration, development and reporting using today’s cutting-edge technology. Berkflow is registered consulting and reselling partner of COZYROC SSIS+ Suite. Their consultants are available for assignments in the US and Europe region. 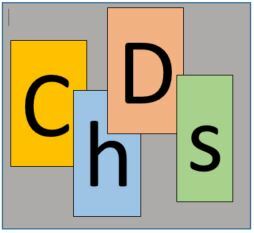 CHDS provides data services around the globe on all technologies, from cutting-edge NoSql (ElasticSearch, MongoDb) document-driven databases, big data (Cloudera and HortonWorks) to more traditional approach with Microsoft Sql Server, oracle, PostGreSql. We also help our clients throughout compliance requirements (PCI-DSS, SOC II, GDPR). Data Integration Solutions is a consulting company based in Wilmington, North Carolina, offering custom data integration solutions and IT support services to Fortune 500 companies, enterprises, and small businesses on Microsoft Technologies (e.g., Active Directory, Exchange, and SQL Server). We have helped clients in various industries with IT strategies that focus on ways to drive IT operations costs down while maintaining high levels of service for key systems that are mission-critical. We offer various services including software and hardware upgrade, migration, and data retention. In addition, we provide data services such as database cleanup and migration, and interfacing using SQL Server Integration Services (SSIS) and SQL Server Reporting Services (SSRS). Data Integration Solutions is a registered consulting and reselling partner of the COZYROC SSIS+ Suite. Datamaze offers a wide range of data management services that can easily help your organization minimize the risk arising from data-related issues, but most of all, enhance business efficiency. Their consultants have expertise with database administration and maintenance, architecture and design in a Data Warehouse environment. In addition, are experts in using Microsoft SQL Server integration Services (SSIS), SQL Server Analysis Services (SSAS), SQL Server Reporting Services (SSRS), and Power BI. Their data management outsourcing services are provided across industry verticals such as manufacturing, food and beverage, and many more. Datamaze is registered consulting and reselling partner of the COZYROC SSIS+ Suite. Dimension Alpha is a full-service business intelligence consulting practice focused on one thing: We help organizations of all sizes achieve Data-Driven Dominance. We turn data into actionable insights that help our customers make decisions about their customers, products, operations, competition, sales and marketing, and human resources. Most of all, we help organizations develop a data-driven culture as a sustainable competitive advantage. We are experts in using PowerBI, Tableau, Microsoft SQL Server, Microsoft SQL Server integration Services (SSIS), SQL Server Analysis Services (SSAS) and SQL Server Reporting Services (SSRS). Dimension Alpha Arcade registered consulting and reselling partner of the COZYROC SSIS+ Suite. Dynamica Labs is a data management consultancy company based in London, UK that specializes in designing and building custom Dynamics CRM solutions for client in various industries. We have been in business for over 14 years. Our CRM specialists share more than 60 years of combined experience working with MS Dynamics CRM (since version 1.2). We have helped clients with implementation such as CRM Design, installation and configuration, data migration, building reports, and training and coaching. We can also help with post-implementation such as customization, continuous improvement, and CRM upgrade. We deliver the highest quality for an affordable rate using an offshore/hybrid delivery model (part of our team operates from Eastern Europe). Dynamica Labs is a registered consulting and reselling partner of the COZYROC SSIS+ Suite. Intigris provides custom data integration and migration solutions for CRM and ERP applications on the Software as a Service platform (e.g., salesforce.com) as well as on-premise applications (e.g., SAP, Siebel, Microsoft Dynamics). Intigris is a registered consulting and reselling partner of the COZYROC SSIS+ Suite. KGO Consulting is an IT solutions firm based in Fort Lauderdale, Florida that was founded in 2014. The company specializes in custom data integration solutions, Business Intelligence Reporting, Data Security, SharePoint Development, Cloud Design and Migration, EDI Integration, Disaster Recovery, and Enterprise Architecture Planning. Their consultants have over 15 years of expertise in leading and creating analytical information technology systems with emphasis in healthcare and financial systems. Most of all, they are highly skilled in the creation and use of very large relational and multidimensional database systems for solving real-world business problems. KGO Consulting supports mid-sized and enterprise clients across a range of industries. KGO Consulting is registered consulting and reselling partner of the COZYROC SSIS+ Suite. MIG specializes in the implementation of financial and business management systems, helping customers streamline their processes and maximize productivity. oh22information services GmbH is a data management consultancy company based in Bad Camberg, Germany. The company’s solutions focus on three pillars: data integration, data quality and master data. oh22information services GmbH develops products that complement Microsoft technology, particularly in the areas of SSIS, DQS and MDS. ROVJOK specialize in business and data analytics for clients in the mining, commodities and manufacturing industries. Their expertise and focus are on the Microsoft BI stack. ROVJOK has helped clients identify, and realize, opportunities in their value chain. Their recommended solutions are truly business led, leveraging their experience and proven knowledge gained over the years in helping clients. In close collaboration and partnership with their clients, they have designed and build business-critical information systems that automates traditional reporting and analytics processes (e.g., month end, budgeting and forecasting), provides self-service scenario analysis to end-users, and business intelligence capabilities for exposing data insights and improving the company’s operation. 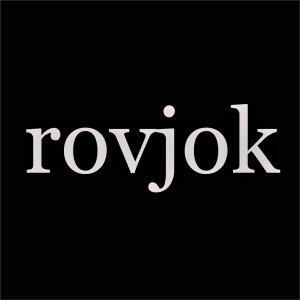 ROVJOK is registered consulting and reselling partner of the COZYROC SSIS+ Suite. Solventure is headquartered in Ghent, Belgium, and has an office in The Netherlands. With a presence in North America, Europe and Asia-Pacific, through the unique and exclusive partnership with Arkieva, Solventure is uniquely positioned to provide value to global companies as well as local and regional businesses. Solventure turns your supply chain into a competitive edge by designing, implementing & supporting Strategy Driven S&OP for global companies. We build champions through the unique combination of the processes, tools, analytics and thought leaders that allow you to outperform your competition. In order to do so, companies need to find the right balance between Service, Cost & Cash. Companies need to make sure their S&OP process is aligned with their company strategy, maximizing executive buy-in in the S&OP process. Our approach will close the gap between company strategy, financial targets and operations. Strategy Driven S&OP will become a critical steering instrument to have direct impact on your company results and achieving competitive advantage. Global champions in chemicals, discrete, high tech, food and CPG rely on Solventure to become their sparring partner and power their S&OP process. Will Solventure also become your game changing partner for S&OP Excellence? Solventure is registered consulting and reselling partner of the COZYROC SSIS+ Suite. SQLBI is a consulting firm with a strong and unique experience in Business Intelligence, centered around Microsoft technologies – SQL Server and SQL Server Integration Services (SSIS) and SQL Server Analysis Services (SSAS). SQLBI offer consultancy for problem solving (SSIS, SSAS, SSRS) and project assistance (data warehousing modeling, SSIS and SSAS performance). TechAffinity is a global leader in providing digital transformation solutions and helping businesses stay relevant in a highly connected, rapidly evolving world. We are headquartered in Tampa-FL (USA) with 2 offices across the USA and a large offshore center in India. TechAffinity offers a gamut of services including Strategic Consulting, Application Development, Digital Testing, Cloud, Mobility, Near Reality, Data Integration, Data Visualization, Platform Integration/Customization. The company’s experience in chalking out the digital journey from idea to execution has given customers a competitive-edge. Delivering cost effective solutions and providing a superlative customer experience has been the key differentiator for TechAffinity. TechAffinity is a registered consulting and reselling partner of the COZYROC SSIS+ Suite.